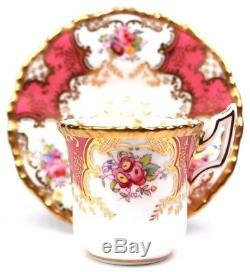 A beautifully made fine porcelain Coalport demi tasse cup and sauce, Pink ground, pattern. 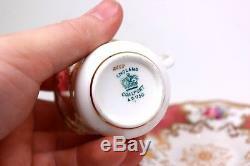 Saucer: 4 1/4, 11 cm. 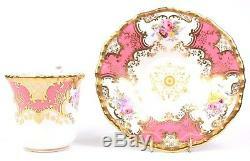 Excellent condition all beautiful as shown. 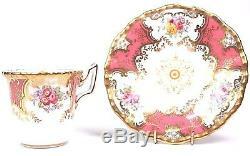 The item "Antique Coalport Fine Porcelain Batwing Pink Demi Tasse Cup and Saucer" is in sale since Friday, November 30, 2018. 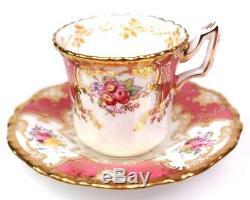 This item is in the category "Pottery, Porcelain & Glass\Porcelain/China\Coalport\Decorative/Ornamental".antiques" and is located in Shropshire.